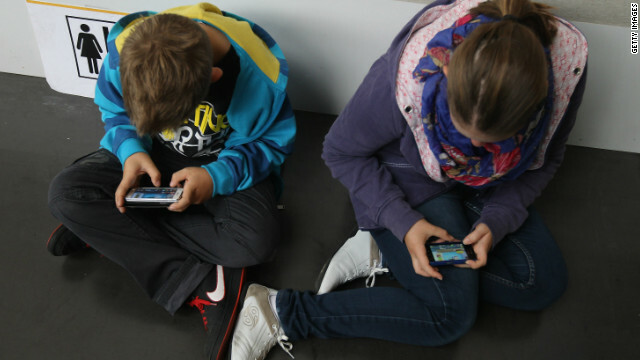 A boy and a girl play video games on their phones in September 2012 in Ruesselsheim, Germany. What advice do you have for those seeking a mentor, or looking to become one? (CNN) -- One simple tweet can help push the start button for action, thanks in part to the viral nature of social media. Luke Crane, who says he works at Kickstarter and describes himself as a self-publisher of role-playing games, floated out a question on Monday evening: "Why are there so few lady game creators?" His inquiry touched on a controversy that's been brewing for a long time. Women's role in the gaming industry is part of a greater conversation about gender roles and stereotypes in the scientific, techie and geek spheres. These fields are often said to be dominated by men. But are they really? As the discussion continued, Twitter user Filamena Young apparently was the first person to start using the #1ReasonWhy hashtag. Others adopted it as well. Grievances were aired, issues were discussed, and the tag started getting more and more attention. If you have trouble viewing this page, please visit Storify to see the post. After we at CNN saw this exchange taking place, we were inspired to share it with our reader community and keep the mentoring and leadership conversation going. Are you a female interested in the video game industry, or do you know someone who is? What female techies and geeks do you admire, and what qualities can best help a woman, or anyone, succeed? Do you have a mentor, or can you think of a good mentor for women interested in the video gaming world, or science and technology? And what suggestions do you have for those seeking a mentor, or for those who want to become mentors? Share your views in the comments area below or post your commentary on CNN iReport. You can find us on Twitter, too, via @cnnireport and @cnntech.